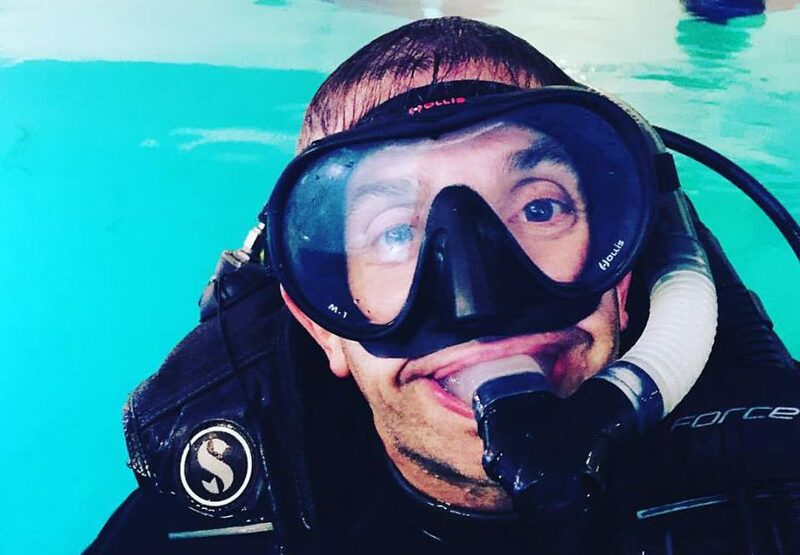 In 2014, Stef Taylor discovered the world of scuba diving. Just two years later, his life has been completely transformed – and in more ways than one. We don’t want to spoil the surprise, so read on to hear his story and see what can be achieved when you’ve got a dream and the motivation to succeed at what you really love. After completing a few try dives on holidays throughout the years, I decided to take the plunge and get my first scuba diving certification. I decided to complete the course in the UK rather than doing it abroad – that way I could go diving when I was on holiday once a year. So, in August 2014, I completed my PADI Open Water Diver course. Soon after, I went on holiday to Lanzarote and did my first sea dives, but quickly realised that diving just once a year on holiday wouldn’t be enough! So, when I arrived back home, I started looking into UK diving, including dry suits and local trip and dive sites. I went into my local PADI Dive Center (Ocean Turtle Diving) and met the guys there. After that, things moved quite fast (but more about that later). In April 2015, I completed my PADI Advanced Open Water Diver course with Ocean Turtle Diving in the UK. 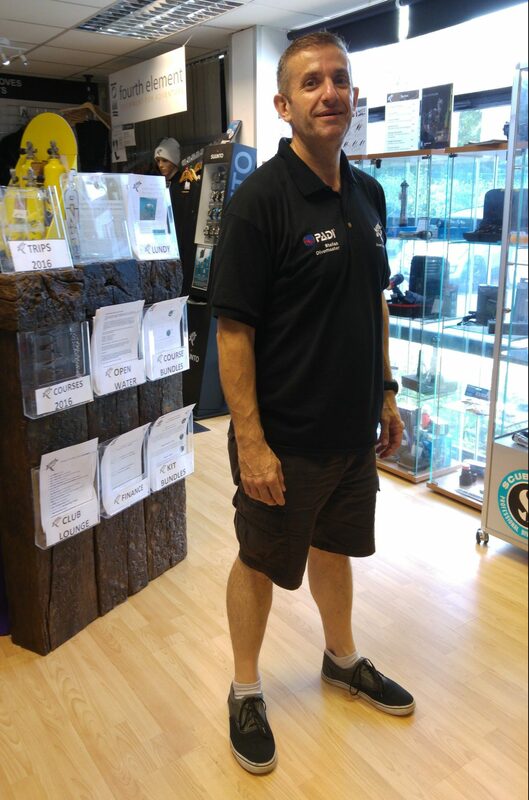 After finishing the course, I started to help out in the dive shop, and provided surface support on open water trips and pool nights. At the same time, I’d started volunteering for a charity called Dive Ability which helps disabled children and adults to go diving – something I found very rewarding. 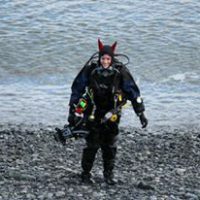 I wanted to get as much experience as I could within the dive industry, because very quickly I’d discovered I was very much in love with all aspects of scuba diving. So, after I’d finished my Advanced Open Water Diver course and spent time helping Ocean Turtle Diving, Kerrie (the store owner and my PADI Instructor) took me to one side and said she thought that I had the right temperament and attitude to become a PADI Divemaster. 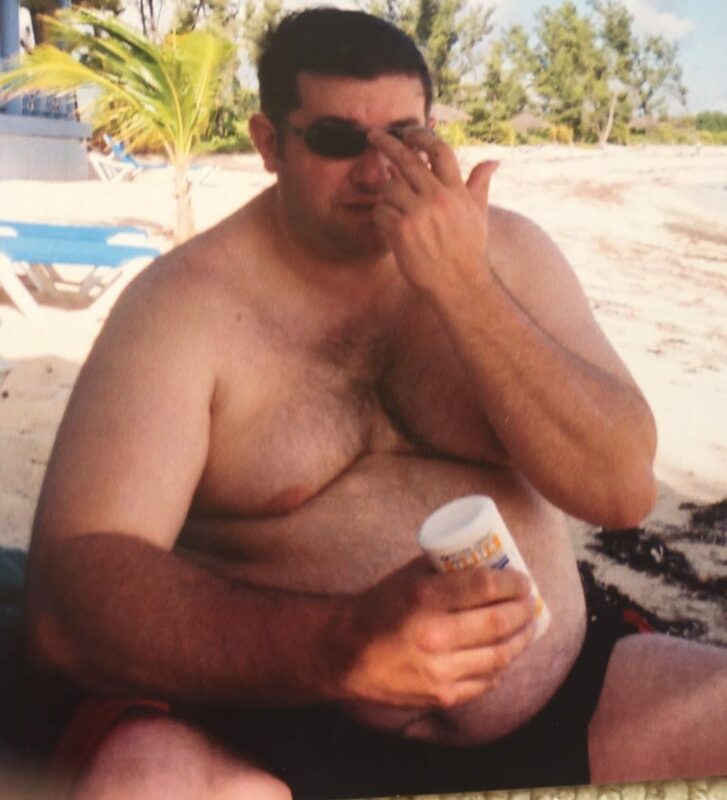 Soon after completing my Advanced Open Water Diver course, it became apparent that my weight – 22.5 stone (143 kg) was not ideal for diving, and not good for becoming a Divemaster. So, in July 2015 I decided to dramatically change my lifestyle. I went on a diet, and started going to the gym. I needed to bring my weight down and push my fitness level up so that I could do my PADI Rescue Diver course and then finally start my Divemaster training. By August 2015, I’d got my Rescue Diver certification under my belt (again, with Ocean Turtle Diving) and started my Divemaster course straight away – no time like the present! After investing a lot of time, I was certified as a PADI Divemaster in January 2016, with my PADI Discover Scuba Diving Leader rating following soon after in March 2016. But becoming a PADI Professional was not my only achievement. 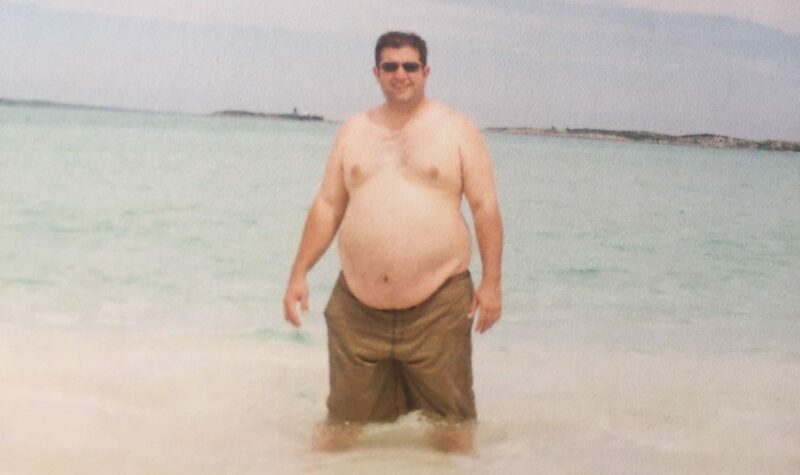 As I mentioned, before I started diving my weight was 22.5 stone (143 kg) – it’s now a steady 13st10Ibs (83 kg), totalling a weight loss of over 8.5 stone (54 kg) in 11 months. Believe me, there were times I thought I might not be able to get there – but with the help and support from my diving friends and family, I actually did it. I’m incredibly proud of how far I’ve come and I think it proves that if you really put your mind to it and have a goal to aim for, anyone can do it! 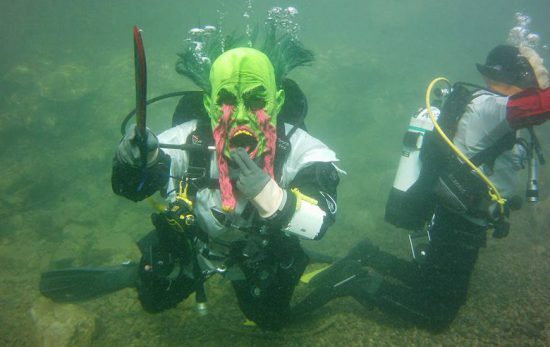 The icing on the cake for me was to be offered a job in the diving industry. So, as I write this, I am the Dive Centre Manager for Ocean Turtle Diving – and I am the happiest that I have been for a long time. I really enjoy coming to work in the mornings – it is a tough industry to be in but very rewarding. I love seeing people getting introduced to the underwater world, and the looks on their faces! 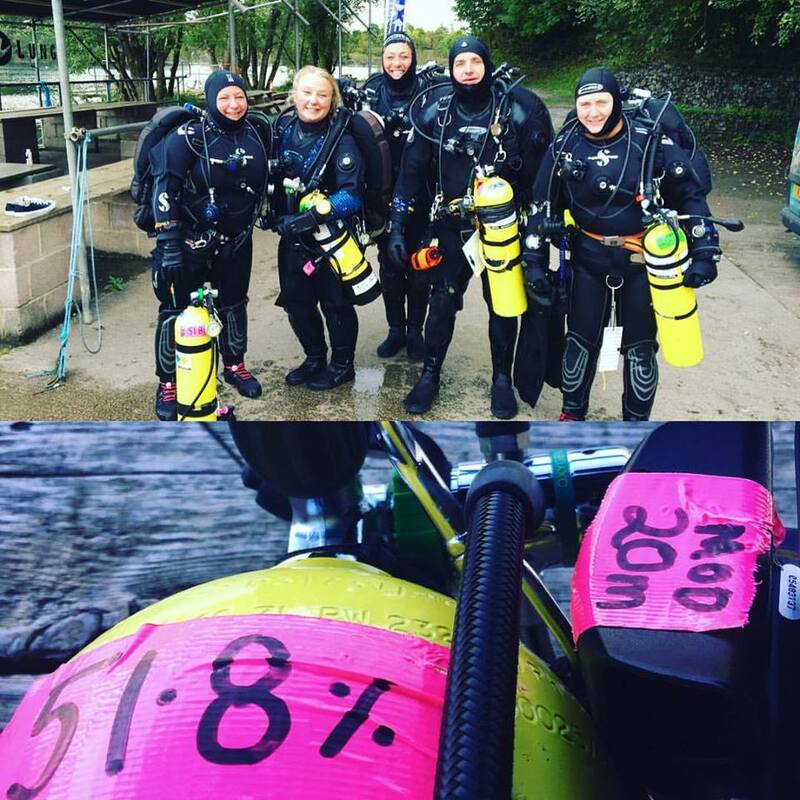 I recently completed my PADI Instructor Examination on the 18th September at Wraysbury, which although nerve-wracking, was a fantastic weekend. I’m glad to say I passed, which means I am officially a PADI Instructor. If you’d said that to me 18 months ago, I would never have believed you. I’ve also since completed my PADI Tec 40 course. So what’s next for me, you might ask? In the diving world, I’m going to complete my PADI Tec 45 and Tec 50 courses, after which I plan to train to become a PADI TecRec instructor next year. Above the water I’m even training to complete a couple of 10K runs next year, too – so I’m not letting the grass grow under my feet! What has PADI and diving done for me? Finding a hobby that I love which I have managed to turn into career! There are many people who I have met along the way that have been great mentors, teachers and friends that I will be eternally grateful for. With the training from Ocean Turtle Diving and PADI, I am much happier and fitter than I have been for a very long time.